The United States Patent and Trademark Office (USPTO) has rejected claims by Apple that Samsung Electronics infringed on its "pinch-to-zoom" patent – one of the decisive claims in the ongoing litigations between the two tech giants. The patent, No. 7,844,915, was first filed back in November 2010 and described, "an environment with user interface software interacting with a software application". The patent was preliminarily rejected back in December 2012 before the final verdict was delivered today as they were anticipated, according to Computerworld, either by previous patents or were deemed unpatentable (as the technology has already been copied in other mobile operating systems, such as Google's Android). During the original trials, the jury found that 21 out of the 24 Samsung smartphones and tablets presented to them as evidence infringed on Apple's pinch-to-zoom feature, which was first introduced on the original iPhone back in 2007. The patent covered a gesture whereby users can "pinch" outwards to zoom into an image, document or file. The decision may have a serious impact on the ongoing trial, which saw Apple win a landmark victory against Samsung back in August 2012, in which it was awarded $1.05 billion in damages. Apple has up to two months to respond to the decision by the USPTO before it is finalised. Wasn't pinch to zoom one of the original 200+ patents Apple made before the iPhone debuted in 2007? So just because Android copied it later means the earlier patent before Android copied it is invalid? How is something unpatentable when Apple applied for the patent before it was copied? 1. 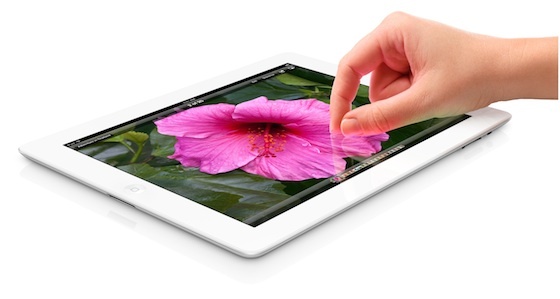 Apple didn't come up with the concept of pinching to zoom on a touchscreen device. Their implementation is a little different than what's come before, but the basic idea had already walked around the blocks a few times before they got to it. 2. It's a gesture, and gestures on touchscreen devices need to be standardized across the board, not balkanized. Otherwise you'd have one company patenting things like the movements for using your finger to swipe left to turn a page, something that should be natural and immediately apparent. Pinch zoom on computers dates from at least 1983 (http://www.billbuxton.com/multitouchOverview.html). In short, Apple never had a patent on pinch zoom, since they didn't invent it. However, this particular patent tried to grab it anyway, by patenting the idea of discerning the use of one finger for scroll and two fingers for zoom. Yes, it's as bad as it sounds, simply combining two gestures. Small wonder that the USPTO found tons of prior art when they reviewed it. Pinch to zoom is not at all natural when comparing to flipping pages or even breathing. The argument of breathing is totally childish. I can use books as an example for flipping pages with a real object. Name one real world object that zooms in when you pinch it. If it was never applied before and makes all the sense now, maybe they should make it a FRAND patent. I'm very pleased by this. I think that gestures such as pinch to zoom should not be patentable. Would you be kind enough to direct me to the patent Apple submitted for rounded corners? See, I keep hearing about it, but I can only assume it's FUD spread by Samsung as I can't find evidence of it anywhere. What is wrong with the patent office doesn't it realize that Apple invented everything! Let's face. Apple isn't interested in innovation because it doesn't do any. It has a great marketing machine and now it's deep in the patent troll business. Sad. First of all, show me who had it first. edit: Here you go (http://www.billbuxton.com/multitouchOverview.html). This does a pretty good job of going over the basics. Second, your second "reason" is not a reason, but an opinion. And a pretty messed up one, at that. What's messed up is your supporting a first come first serve notion to natural movements. Think of it like this. How do you turn pages? You flip them left and right. How do you drag through webpages? You scroll up and down. They're natural and ergonomic gestures that just make sense. So if Apple were able to patent a one finger drag gesture on a device that's built to accept inputs that's designed mimic natural movements, they're basically patenting obvious interactions. You flip pages left and right using your fingers, ergo it makes sense to use your finger to scroll left and right through pages on a touchscreen device. Just because it uses touch to achieve the desired results doesn't change the same basic idea. The gesture itself shouldn't be patentable. The underlying implementation in software should be all that matters here.